BLUE ART GLASS BOTTLENECK VASE home decor, jewelry, decor, decorations, electronics, fountains, floor mats, art glass, vases, garden essentials, fireplace screens. This glass vase is a fabulous work of art that you'll love to display in your home. The clear glass base features an explosion of incredible colors and above is a lovely shade of blue. 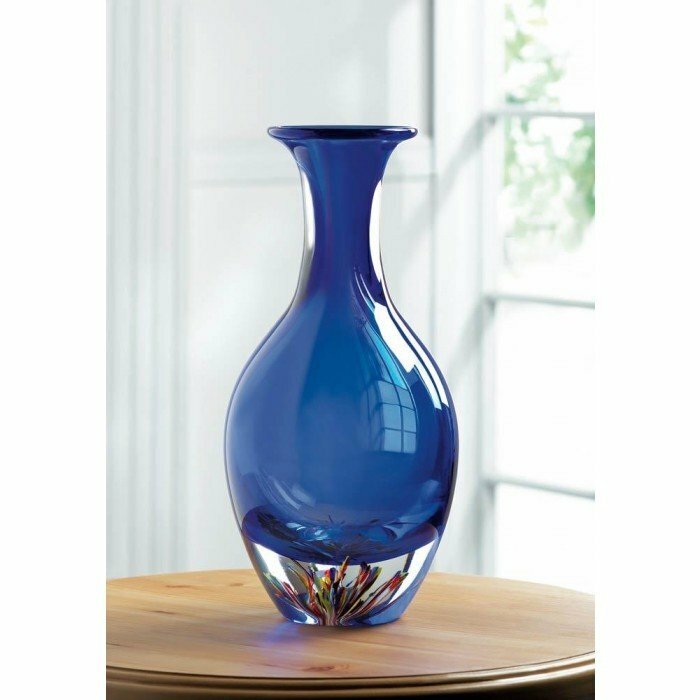 The blue glass in the neck of the vase features a dramatic bottleneck that creates a stunning visual. Material(s): GLASS. Weight 9.8 pounds. Dimensions 6" x 6" x 13".